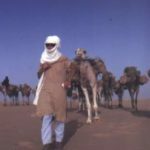 Since the XV century, every year the Tuareg marches from the Ténéré oasis, located in Niger, to the markets where they exchange the salt that is essential for the camels and man’s life in the desert. 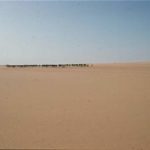 They travel with their camels hundreds of kilometers on the most difficult and most famous desert of the world, guided only by the sun and the stars. The journey begins from the salt mines of Fachi and ends at the Tureiet oasis, for a total of 450 kilometers in the northwest direction. 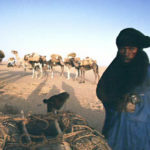 The salt caravan called “Azalai” by the French and “Taralamt” by the Tuareg is the last true tradition of this population, who has always been nomadic. Carla become part of one of these caravans thanks to the authorization of their chief, the only one capable of finding the direction in the sand without any orientation device, using only his incredible instinct. 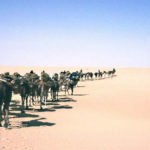 There was just one condition: If she had not been capable of keeping their pace they would have left her in the desert. 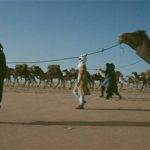 She walked for nine days and 450 kilometers with 17 men and 200 camels, and for the first time in history, a woman was accepted in the Azalai. 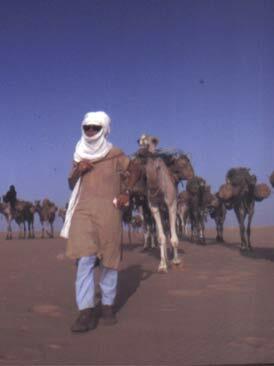 In fact, for tradition, the Tuareg don’t allowed their women to be part of it. Every morning they start walking at 7 A.M and stop late at night without a break. 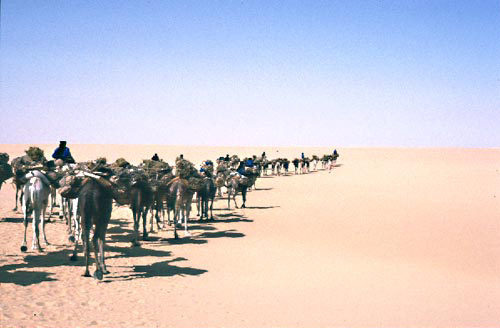 During the hottest hours (11:30- 2:00) and when it was getting dark, it was necessary to get on the designated camel. 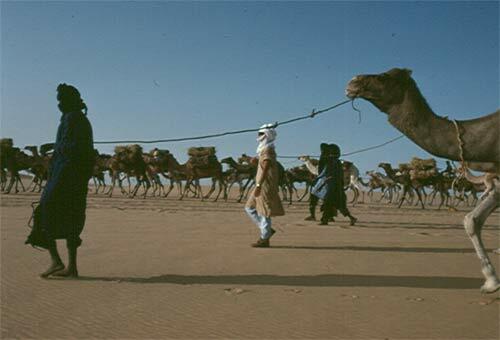 And Carla had to learn how to do it while the caravan was moving, as it is not possible to stop a caravan of this many camels tied to each other. The temperatures changed from 60 degreases during the day to 10 degrees in the nighttime (Celsius). 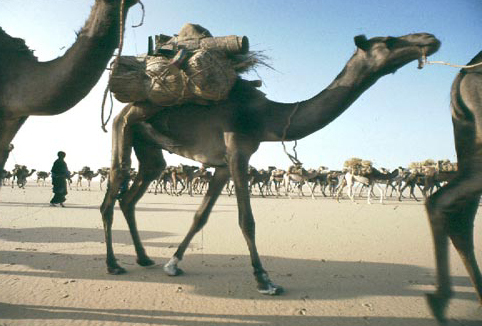 None of the camels had a saddle and the one that was given to Carla was loaded with salt, water and her camping equipment. The water consumption was about seven litters a day due to the great heat. 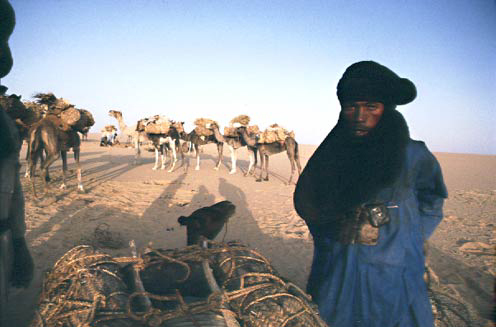 During the night the camels were unloaded and feed but they won’t drink for the entire journey. With a small tent as a shelter, located not far from the Tuareg night camp, Carla would untie her hair that had been pressed together all day in the six meters of cotton gauze that made her turban, and she would take off her clothes that are identical to those of the Tuareg.The psychological pressure is enormous and the body is taken to extreme fatigue from the terrible rhythms of the caravan. After eating something she had just a little more than three hours to rest before starting to walk again. “It’s the worst night of my life. For the first time I find myself facing an entity that I had no idea that existed: the other side of me…. without realizing it I find myself talking out loud almost in anger to not let myself down. On one side there is the desire of quitting. On the other side the determination to keep going, to not give up at the first obstacle, and not to throw away the work and the dreams of many months”. The panorama is amazing: great dunes of sand surround the large carovan, almost becoming the ocra color of the sand. 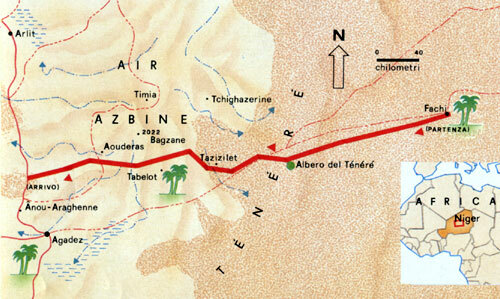 After four days the caravan arrived at the Ténéré tree where they were able to refill our water supply. The well was 40 meter deep and it didn’t allow many camels to drink out of it. 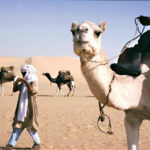 The camels, tired and anxcious, started to give the first problems since they can’t drink, and in particular Aorat (Carla’s camel), who was white with blue eyes and was very naughty. 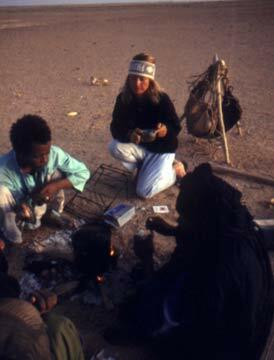 The relationship between Carla and the Tuareg was changing. 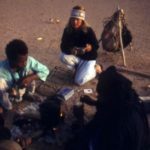 While at the beginning they appeared cold and far away, they started to take care of her, teaching her to became a Nomad. 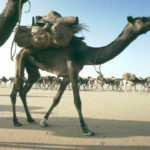 She was able to exchange a few words with Ala, who could speak a little bit of french, even though the days were always very quite and the only noise was the one of the camels feet brushing gently on the sand. 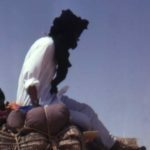 “Do you know why foreigners suffers so much in the desert and they can’t live in it? Because they pretend to bring here all their habits and they don’t want to leave their comforts. If you don’t want to suffer, follow our rules, eat and live like us and you will learn to think like us”. 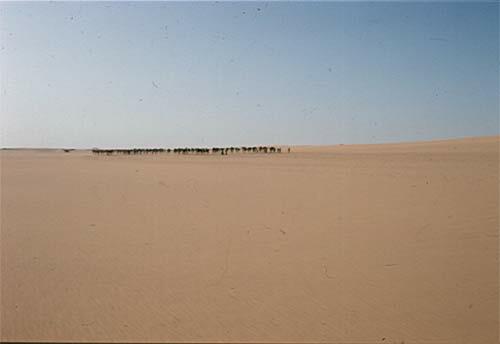 The difficulties that she had to deal with every day were numerous, including a sand storm, but she always found the strength to continue.She knew that quitting would mean being alone in the desert for long time before the rescue team, coordinated by her husband, would be able to get to her. With every step, her knowledge of the desert increased and her love for an environment that seamed so hostile at the beginning grew. She learned to live with the other part of herself that was scaring her so much and slowly she reached a perfect internal and external balance that helps her to cross every obstacle. After nine days she concluded her challenge. 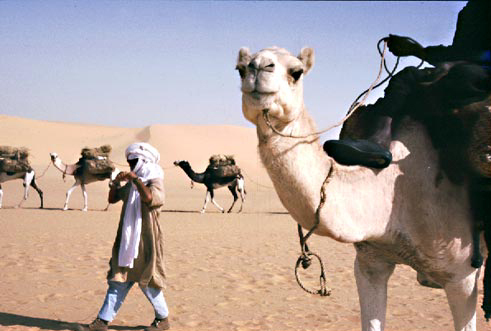 At the Turejet oasis all the inhabitants of the small community were waiting for her. 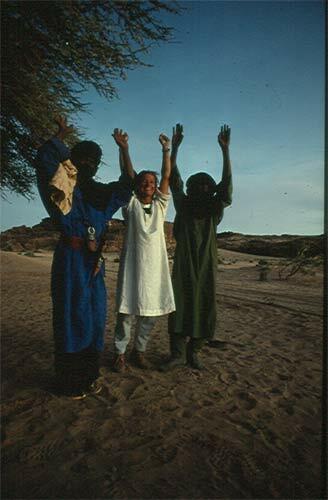 With them there were also Oscar and Max, their fourteen years hold son, that came from Italy for the occasion, and to celebrate the first women of the Azalay, a Tuareg party was organized. 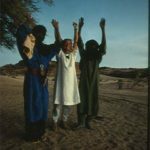 A Tuareg proverb says: “Whatever the desert wants is of the desert” and Carla after this challenge feels a part of it forever.